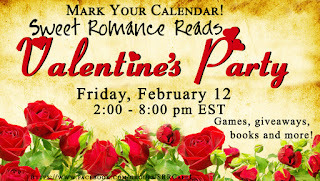 Sweet Romance Reads: Valentines Day party---coming soon! 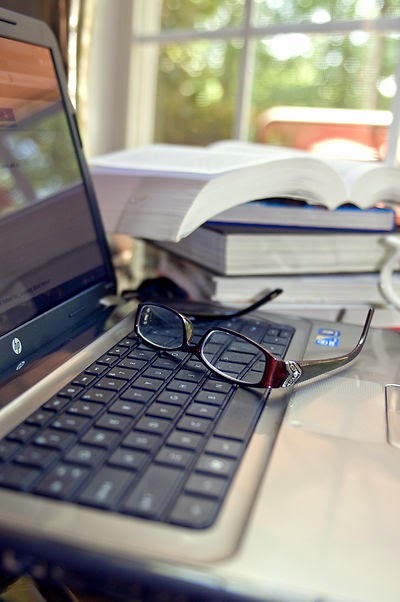 This has been a crazy week, with my husband gone more than usual, appointments and errands that took up way too much time, and the biggest task: a looming book deadline. I needed at least four more hours each day this week, and maybe an extra day or two thrown in--yet here we are at the end of the week already. How did that happen?! I need to get this book done on time--or early if possible, because we have a new grandbaby due in just a couple weeks. And what a perfect, wonderful distraction that will be! 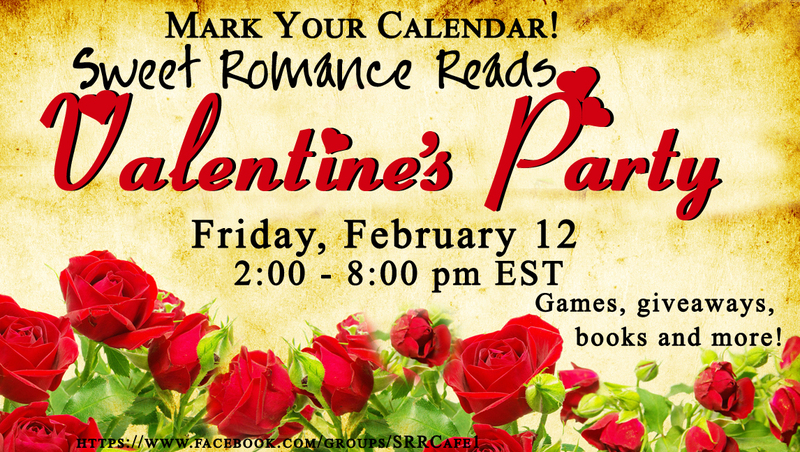 So, with my thoughts really scattered and a pressing need to get back to work on that manuscript, I will make this post brief and just encourage you all to join us for the Sweet Romance Reads Facebook party. You won't want to miss this party, I promise! We have these events now and then, usually associated with a holiday, and as the banner says, there will be games, discussions, give-aways...so its well worth stopping in to say hi! Do note that the times are on EST time. Roxanne, I know what you mean by needing four hours added to each day. I do too. Unfortunately I borrow time on my sleep and I am often so tired the next day. I need 4 more hours a day, also.